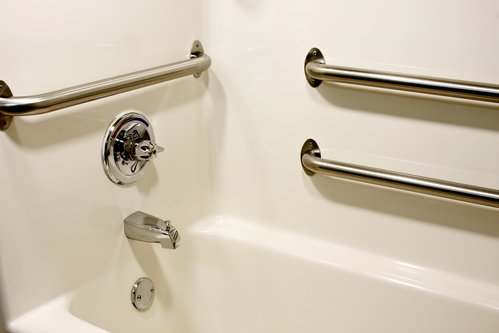 Adding a grab bar to your bathtub and/or shower can make it easier – and safer – to get into and out of the tub and to balance while bathing. While you can have a professional install one of these bars for you, it’s also possible to install them yourself. Choose the spot for the grab bar. This should, ideally, be at least 30 inches above the floor and on an adjoining wall that is hollow (and not tiled). Pro tip: Take note of the length of the grab bar as you are selecting a spot. This can facilitate the measuring process (and it may limit your choice in locations, depending on your current setup/décor). Use a pencil to mark out the location, and use a level to ensure the marks are placed appropriately. Drill the pilot holes. Then drill the bore holes, where the hollow wall fasteners will fit. Pro tip: For the pilot holes, use a 3/16-in. carbide-tip bit. For the bore holes, use a 1 ¼ in. carbide-tip hole saw. Remove the paper from the adhesive on the wall fasteners, and press the fasteners into the holes. Turn the screw to the left to release the grab fingers, then tighten the screws into the fasteners. Mount the grab bar on top of the fasteners. Screw in the mounting screws, and cover them with the concealing parts (i.e., escutcheons). Want to Make Your Tub Even Safer? Anyone with balance and/or mobility impairments. Are you ready to enhance the safety of your bathroom via a walk-in conversion? Or do you want to refresh the look & life of your tub by refinishing it? 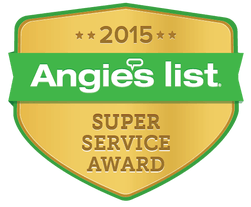 If so, contact us for a free quote by calling (303) 908-8764 or by clicking here. You can also email us using the contact form located here. 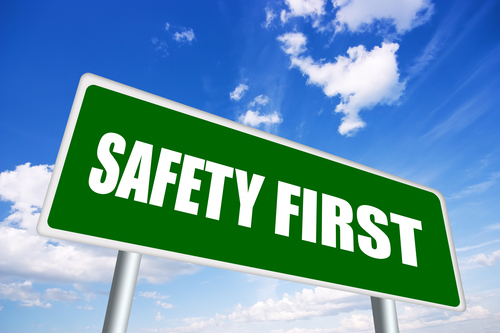 Each year, more than 230,000 people go to the emergency room after bathroom slip and fall accidents. While the vast majority of these slip and fall injuries are sustained in and around bathtubs, as people age, these slip and falls are far more likely to result in severe injuries – like broken bones and head injuries. To reduce the risks of a bathroom slip and fall and keep your family safe, below are some bathroom safety basics to review and keep in mind. When you want to keep your bathroom safe for the family, here are some bathroom safety basics to keep in mind. Contact us for affordable bathtub refinishing services. Never leave any water sitting in your tub – Of course, water will be in your tub when you shower, draw a bath and/or bathe. Once these tasks are done, however, never leave water sitting in your tub. Sitting water not only presents a drowning hazard for little ones, but it also will etch your tub’s lining, damaging your tub. 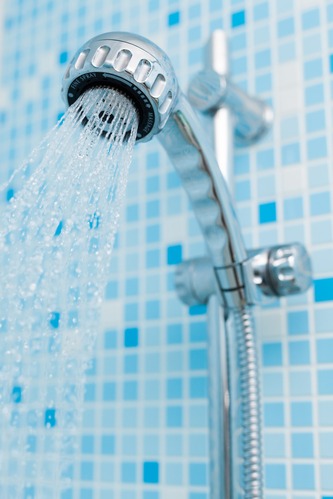 If your tub is slow to drain, it may be time for a drain cleaning (or drain repair). Place a mat outside of your tub or shower – Getting in and out of the shower can be risky for anyone, especially if their balance is slightly off. You can reduce this risk by simply putting a carpeted mat outside of your tub/shower. You may even consider installing a grip outside of your tub/shower so that your family members have something to hold onto, helping them maintain their balance as they get into and out of the tub/shower unit. 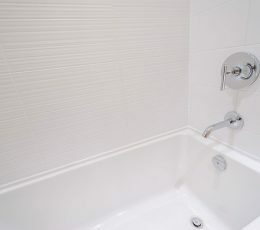 Consider installing a non-slip liner in your tub – If you have a few small children or aging loved ones who regularly use your bathtub, having a professional install a non-slip liner can be a smart move, as it will provide further traction in the tub, enhancing shower time safety for everyone. Childproof your bathroom if necessary – This can include plugging outlets with flat, plastic outlet protectors, putting cabinet-locking mechanisms inside of lower bathroom cabinets and/or adding a faucet cover to the faucets in your bathroom. These are all relatively affordable fixes that can be easily removed later – and that can keep your curious little ones out of trouble in the bathroom. Ready to Install a Non-Slip Liner in Your Tub and/or Get Your Bathtub Refinished? When you are ready to take the next step in safety by having a non-slip liner installed on your tub – or when you want to update the look and feel of your tub via bathtub refinishing, it’s time to contact the experienced professionals at Colorado Tub Repair. 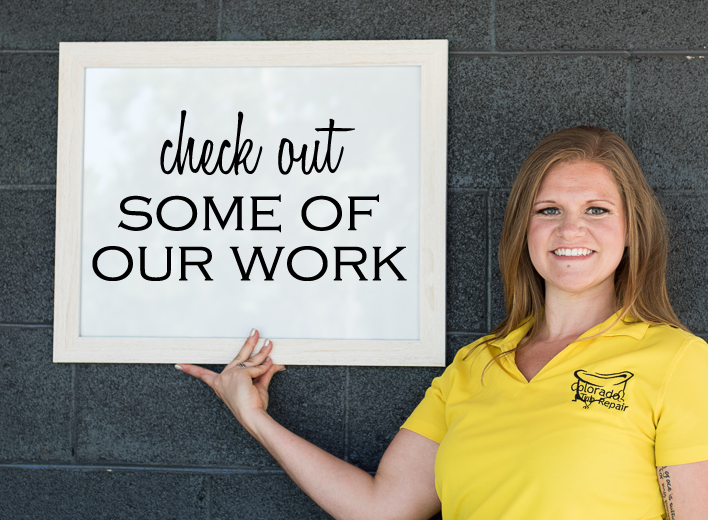 Get a free quote from us today for our various affordable services by calling (303) 908-8764 or by clicking here. You can also email us using the contact form located here. In theme with our bathtub safety focus this month, in this blog, we’ll highlight some safety tips for bathing toddlers. Keep bath time safe and fun for your toddler with these safety tips. Contact us when you are ready to revitalize your tub via our affordable bathtub refinishing services. Prepare the tub before bath time starts – Make sure that you have everything necessary for bath time before your child is in the tub so that you never have to be more than arm’s reach from your child once bath time begins. So, be sure that the soap, washcloths, bath toys and even drying towel are all by the tub before you even start to fill it up. Put away all possibly hazardous items – Do you have glass containers by the tub? Or do you keep things like hairdryers (or other electronics) near the tub? If so, make sure all of these items are put away – far from the tub – so that they won’t tempt your curious little one during bath time. Have your safety items ready – If your toddler is smaller in size or you simply feel better about using certain safety items during bath time, then have these ready before filling up the bath tub also. Such items can include (but may not be limited to) plastic tubs or seats for your little one or even a removable grip for him or her to hold onto. Test the waters – As you fill the bathtub, be sure that the temperature is just right for your little one. Also, never fill the tub higher than about waist high on your child (when (s)he would be sitting in the water). Get ready for bath time play – Now you are ready for a safe and fun bath time with your toddler! Stay engaged the entire time your child is in the tub, playing with him or her and not leaving the tub/bathroom until bath time is over (and the tub is completed drained). 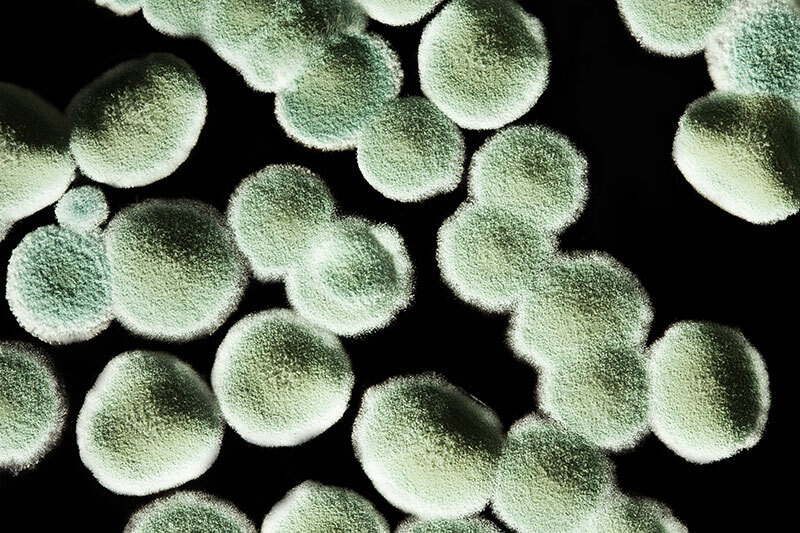 Is your tub showing signs of damage and age? If so, it may be time for bathtub refinishing to revitalize your tub (before you consider replacing it). Contact us for a free bathtub refinishing estimate by calling (303) 908-8764 or by clicking here. You can also email us using the contact form located here. Bath time can be a fun time for small children, but a tub full of water may not always be the safest place for them. 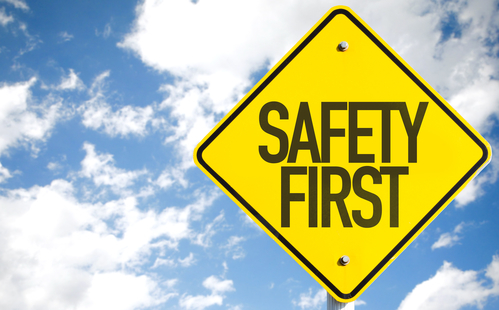 While you can go out and buy some safety items, as we pointed out in our last blog, you may also be able to use some common items you already have in your home to keep your kids safe as they bathe. Try using these common household items to keep you kids safe during bath time. When you need the best bathtub refinishing services, however, contact us. For infants – Place infants in a smaller plastic tub with some hand towels added on one side for back and head support. While you can place these smaller tubs in your bathtub, you may also be able to use them in your sink, which can be a better option for newborns/smaller babies. For toddlers – When smaller children are able to sit upright on their own, place them in a laundry basket with lower sides. This will keep them sitting up while allowing them to still splash around and play with toys. It will prevent them from lying down/falling backwards in the tub. When choosing a laundry basket to use for bath time, be sure to select one that is more heavy duty, as flimsy one won’t offer any support/protections (and, instead, will more likely fall over). For children – As children grow out of the toddler stage and start learning how to shower on their own, use hand towels in the tub to prevent slipping – and to help them learn how to safely bathe. Avoid using non-slip appliques or stay-in-tub bathmats, as these will trap water and soap on the lining of your tub, etching away at its surface and damaging your tub. Remove the items from the tub after bath time. Rinse the tub out, particularly in the area where the item was sitting during the bath. Let the tub fully dry out. 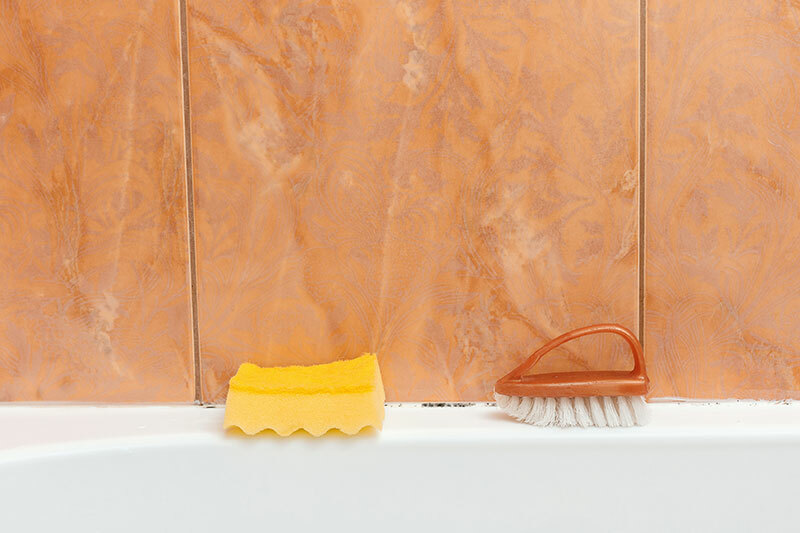 When children turn into teenagers, instead of using common household items to prevent tub accidents, it may be time to install a non-slip lining in a bathtub for some extra traction. If your tub is already damaged, bathtub refinishing may be your best option for updating the look and feel of your tub. Contact us today to get a free quote for bathtub refinishing – or for installing a non-slip lining in your tub. You can call us at (303) 908-8764 or click here for an estimate. You can also email us using the contact form located here.